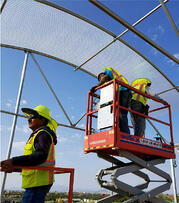 SolaWrap Greenhouse Film Install Greenhouse Plastic Like None Other! Solawrap Connector. Just Slide The Greenhouse Film in the Track. It's the bubbles that make this film special! 6 mil greenhouse plastic can tear and rip. Solawrap ™ site, click here. Would you like to speak to Ken Aguilar - Mr. SolaWrap? Please click here. 6 mil greenhouse plastic or SolaWrap? Here's how to decide! 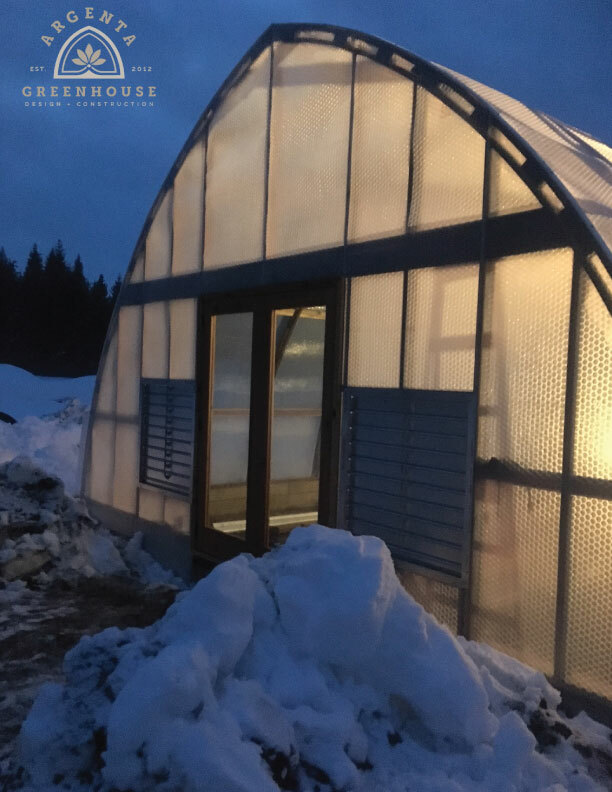 Argenta Greenhouse is a family-based business located in Argenta, a picturesque rural community nestled in the Kootenay mountains of British Columbia. We are please to count them as one of our valued customers. To learn more about them, please visit their website. How do we know SolaWrap™ Greenhouse Plastic Will Last? The Proven History of Course! Solawrap ™- The greenhouse plastic with the bubbles has been going strong through out Europe for over three decades now. That's how! In the Mediterranean growers have reported their tomato crops have come in 3 weeks ahead of schedule during the winter months. Best of all if these tomato crops have accomplished this growth in UNHEATED greenhouses. In Kuwait, SolaWrap™ its durability and longevity was tested in the extreme heat for 25 years until the war broke out and destroyed the testing facility. 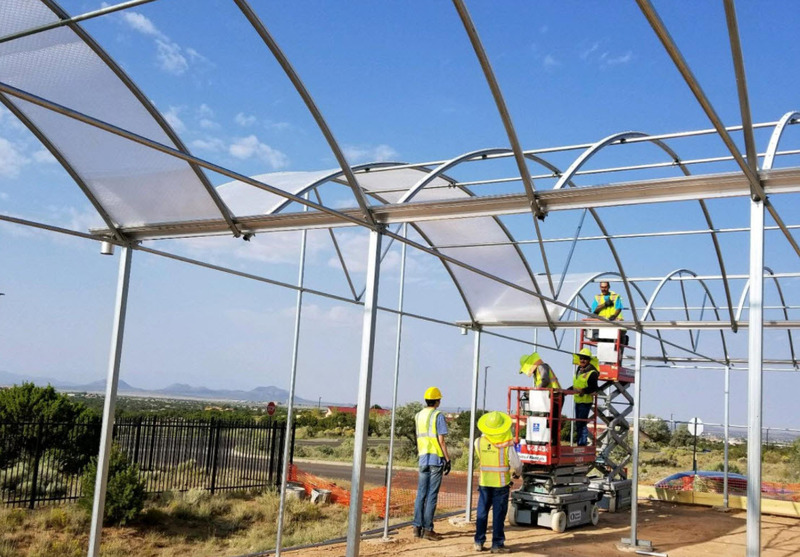 During that 25 year period, the original SolaWrap™ greenhouse covering film withstood the elements and performed its job to perfection. It did not become brittle or turn yellow. In Manitoba, Canada, in freezing temperatures, the strawberries are growing in the SolaWrap™ greenhouse in January. The only heat occurs at night during the night during the dead of winter. SolaWrap™ greenhouse plastic held up after 29 years in winds in excess of 100 mph in Alaska! 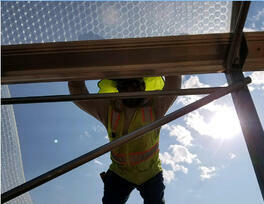 And this is why we are so confident SolaWrap™ will become your "one and done" greenhouse film for your greenhouse!